General Raheel Sharif gave a very clear message to the Indians On 6th December 2015, during the Defense Day celebrations held in GHQ that we are fully prepared to face any type of aggression, it can be conventional or non-conventional, Hot or Cold Start. The terminologies of Conventional and Non Conventional wars are well familiar to the people whereas Cold Start is a new term used by Indian Generals, which is unfamiliar to most of the Pakistanis. 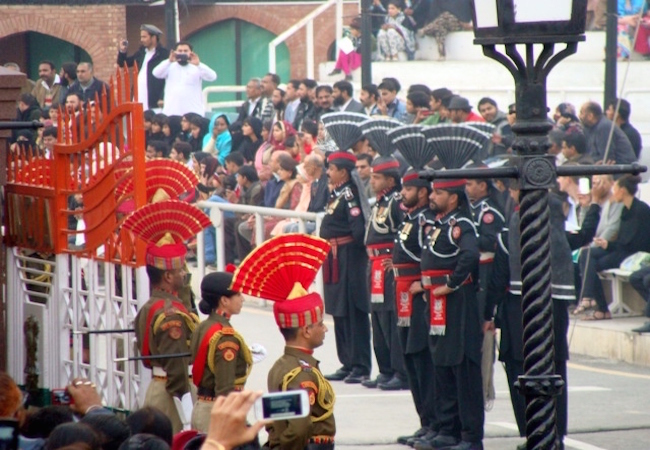 Cold Start is an Indian military doctrine which has been evolved by the Indian Generals to swiftly “punish” Pakistan for its alleged “nefarious activities” in India, in a short time before Pakistan could get away with it by involving a third party like, UNO or USA, leaving no time for Indian military to respond. It also aims at giving no reaction time to the Indian Political Government to restraint the offensive due to international or any other political pressure. In 2002, Indian Forces lost around 1000 soldiers and 2000 wounded just trying to rush to the borders; in 2008 it took weeks for the Indian army to reach their positions while Pakistan forces were already there and ready – it took Pakistani forces a day to reach and a day to dig in. In response to the inability of the Indian military to leverage its conventional superiority, the Indian Army announced a new offensive doctrine in 2004. 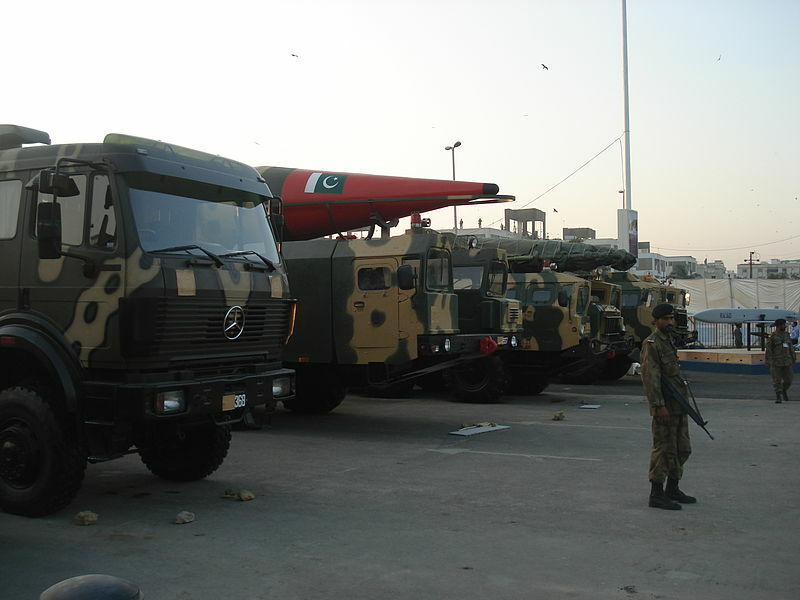 In April 2011, Pakistan first test fired successful flight test of the solid-fuel Hatf IX (NASR), a road-mobile missile with a range of 60 kilometers which carries nuclear warheads of appropriate yield with high accuracy and has been specially designed to defeat all known Anti Tactical Missile Defence Systems. The second test was conducted in October 2013 and a year later another test was carried out on September 26, 2014. The Nasr, as the midget red-and white nuclear-tipped missile has been christened, is a slim pencil-shaped rocket with fins.. In its current configuration, the Nasr was housed in a multibarrel launch vehicle that could fire four of them simultaneously. The missile can carry nuclear warheads of appropriate yield, with high accuracy. Pakistan has claimed that it was designed to overcome missile defense systems. It is also claimed that this missile is accurate. Nasr is obviously India-specific and the salvo launch capability is a key ability in stopping Indian armored thrusts into Pakistani territory. Nasr is the most dangerous comprehensive development in the current scenario to contain India. According to General Kidwai, the doctrine was meant to be allowed to run free against Pakistan… Therefore in order to deter the unfolding of operations under the doctrine Pakistan opted to develop a variety of short range, low yield nuclear weapons, also dubbed tactical nuclear weapons. Pakistan justifies the deployment of tactical nuclear weapons as a response to India’s Cold Start doctrine. Though India officially denies the existence of such a doctrine, it was first enunciated by the Indian army after the Kargil War in 1999 and the terror attack on Parliament in 2001. Policy experts had complained that it took months for the Indian army to ready its strike corps for a counter-attack on Pakistan. Since then, India is supposed to have developed a proactive strategy to mobilize major formations at short notice to launch a surprise strike. Both India and Pakistan had extended arms of strategic nuclear weapons planned to hit terror among civilian populations, or to conquest major military targets some distance away from the border. For instance, India’s Agni V can beat targets over 5,000 km away and can be commenced from as far south as Chennai to strike Beijing or Islamabad. Pakistan, has developed Shaheen and Ghauri missiles to strike anyplace in India, and has lately extended their range to the Andaman and Nicobar Islands, where India has an important tri-service base. However never before were nuclear weapons meant to be used as a tactical contrive on the battlefield to prevent an advancing army corps. Ever since Pakistan introduced the battlefield range Nasr/Hatf IX ballistic missile a few years ago, it has been criticized for triggering a new arms race in the region. Pakistan’s security establishment regards all kinds of nuclear weapons as sponsors against a rising existential threat. Initially it was argued that the term Tactical Nuclear Weapons TNWs did not necessarily hold true in the context of the South Asia, where all nuclear weapons irrespective of ranges or yields are chiefly weapons of deterrence but later it was argued that these missiles were part of the concept of Full Spectrum Deterrence. Hence, the TNWs covered the immediate battlefield to deter the short sharp thrusts at multiple points below the perceived nuclear threshold within the framework of the Cold Start Doctrine (CSD). In fact Pakistan is more than capable enough of thwarting an Indian offensive. Pakistan arm forces are concentrated on the Western border and all of our military resources and focus is being pulled into the new military operations so this makes us susceptible from an attack of any size on our Eastern border; tactical nukes were developed to counter India’s massive numerical superiority. Indian army forces are much larger than Pakistan’s own conventional defense Pakistan would be justified in using tactical nuclear weapons against, like Indian tanks if they traverse over. The position is that this would be a defensive rather than offensive. It would not target Indian cities but be used for protecting Pakistan territory. Cold Start was the trigger that got Pakistan to think along these lines as it seriously alarmed the Pakistan High Command. Earlier on, nuclear development in Pakistan was along the same lines as in India, except that India went in for the hydrogen bomb and Pakistan is still working with fissile material. Economically it is hard to balance the security requirements with the basic needs of Pakistani citizens. As mentioned above, to counter insurgency campaign in the tribal areas bordering Afghanistan and the evolving situation in Afghanistan itself is having an impact on the internal security of Pakistan. As the US withdrawal from the country proceeds apace, India is busy enhancing its economic, military and intelligence footprint in the country to the detriment of Pakistan. A two front situation would only reinforce Pakistani resolve to believe more intensely in its nuclear deterrence keeping in view our national interests.